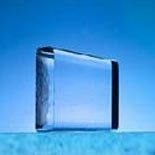 We are looked upon as one of the most overruling Pressed Glass Moulds Manufacturers and Optical Glass Moulds Suppliers in India. We have a complete spectrum of Optical Glasses manufactured by Schott, Ohara, Pilkington and many others. Glass Moulds include the full index range in ingot, block, and strip form. We store a tremendous inventory of raw optical materials to better service the needs of our customers. We take great pride in our inventory to insure accuracy and traceability. One of our strengths is being able to select the materials we carry to various quality levels of straie, bubbles, homogeneity, birefringence, and transmission. We can then machine these selected materials to the blank sizes you require.